Go90 is a new American streaming service that targets a millennial audience. Despite a rocky start, they now have over 2 million users, and it’s marketed as a mix between YouTube and Netflix. It’s almost impossible to access their streams without the use of a VPN, so we’ll take you through how to watch from anywhere in the world. From our testing we found ExpressVPN to be the best for unblocking Go90 outside the US. 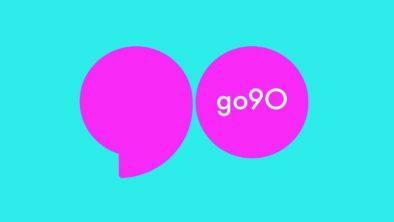 The go90 Mobile TV Network has been operating since October 2015, allowing users to stream video content on portable devices. Launched by Verizon, they hoped it would appeal to a younger audience that hasn’t been interested in traditional forms of cable TV. The gambit hasn’t paid off as of yet, but they’re slowly building an alternative platform to the likes of Netflix US. Popular go90 TV shows and channels include; Daily Vice, LA Story, Droppin’ Cash,and My Dead Ex. Go90 sports coverage offers the NFL, the NBA, ESports, and a variety of documentaries and live events. Best of all, go90 data usage is minimal if you’re streaming, as only downloading, commenting, clipping, and sharing on go90 counts against a Verizon data plan. It works on a range of devices, with iOS and Android app support, but you won’t be seeing Go90 Roku functionality anytime soon. This is because of Verizon’s focus on the mobile market, where they’re already heavily invested. Go90 has failed to gain mainstream appeal, and it’s further hindered by geographic restrictions. It’s only available in the US, which is bad news if you’re traveling, or if you just want to check out the service from abroad. For anyone outside the US, it’s almost impossible to access go90 TV shows or videos. You’ll be greeted with an error message such as the one above if you try to access go90.com via the web browser, and you won’t be able to sign in to the go90 app. As with most streaming services, content is regularly blocked depending on your geographic location. As Verizon doesn’t have the rights to show programming worldwide, they have to block any IP addresses that don’t originate in the US. Copyright infringement is a major headache for everyone, but there is a way to circumvent restrictions with a few clicks. VPN’s are primarily used for privacy and security, but they’re also the ideal tool if you’re hoping to unlock go90 content. A Virtual Private Network creates a secure connection between your device and their servers, and gives you an IP address depending on the server location of your choosing. To avoid any confusion, here’s a brief step-by-step guide to getting started. To begin, sign up with one of the best VPN providers listed below. Download the client app, and open it once it’s installed. Sign in with the credentials you received when you first made your account. Choose a server located in the US. Once you’ve connected to the US server, open the go90 app and sign in. You should now be able to get Verizon TV to go. Quick enough to not impact on streaming speeds. Trustworthy when it comes to your personal data. Considering the go90 cost, it should be affordable. Packaged with a money-back guarantee in case you change your mind or have any issues. Equipped with numerous high-speed servers in the US to ensure a quality connection every time. Free VPNs that limit bandwidth, or can’t be trusted with your personal data. Any service that doesn’t have access to US servers, as they won’t be able to bypass the necessary regional restrictions. Providers that can only offer average speeds, as you’ll need it for HD quality. Overly expensive VPNs that don’t offer good value for money. #1 ExpressVPN – Perfect Speed for streaming. ExpressVPN is a premium provider, based in the British Virgin Islands. They offer a well-known and trustworthy service with some of the best overall speeds on our list. Speeds are perfect for streaming go90 channels, even if you don’t have the quickest connection to begin with. An extensive list of US server locations, perfect for streaming all sorts of content. Responsive customer service options, especially when compared to the average VPN provider. They offer a no questions asked 30-day money-back guarantee. #2 CyberGhost – Free Seven Day Trial. CyberGhost is a Romanian/German provider with heaps of experience. They are one of the few VPNs on the market with a free trial (seven days) where you DON’T need to put down a credit card, and you receive all the benefits of a premium VPN service. Over 130 US server locations, meaning you’ll never have any trouble finding a high-speed connection for go90. No bandwidth caps – allowing you to binge your favorite shows. Anonymous surfing, perfect when you are using public Wi-Fi to access streaming content. a 30-day, no questions asked, money-back guarantee. #3 SaferVPN – Very Cheap and Secure with good Speed. SaferVPN is an Israeli provider that has operated since 2013. They’re known for being used to fight government censorship worldwide, as they’re always able to find a way past bans and restrictions. You don’t have to be a member of the resistance to enjoy their speeds, and they advertise their streaming capabilities on their website. As is the norm, their money-back guarantee is good for 30 days. Incredibly cheap if you opt for the 36-month deal. You will have to pay up front, but it is worth the outlay at just $2.50 per month. They don’t have the most US server locations, but they do have ones that are specifically set up for streaming. #4 PrivateVPN – Not the best options but they have good speed for streaming. PrivateVPN is a Swedish provider that has been operating since 2009. Another VPN with speeds that are perfect for any Verizon streaming needs. Easy setup and an intuitive client app for iOS and Android. Reasonably Eurocentric in terms of their server locations, but they also have an array of US servers. Their money-back guarantee is also watertight for the first 30 days of service. #5 HideMyAss – There are better options if you care about online privacy. Owned by Avast, HMA is the final provider on our list, and another great VPN for streaming US content. A massive network of server locations, dotted all over the US. Available on: PC, Mac, Android & iOS. Their 30-day money-back guarantee isn’t ideal, as you’ll need to have used less than 10GB of bandwidth to be eligible. The client app is easy to use. Decent speeds on a range of servers. Copyright restrictions are both annoying and understandable, but they’re also avoidable. You’ll be able to watch go90 movies without any hassle using a VPN, so it’s recommended to check if there’s a provider that will suit your needs. < Previous What is a VPN Log Policy?